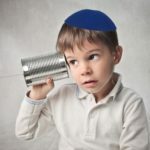 « 8:00pm: Is the Torah Always Sensitive to People’s Feelings? 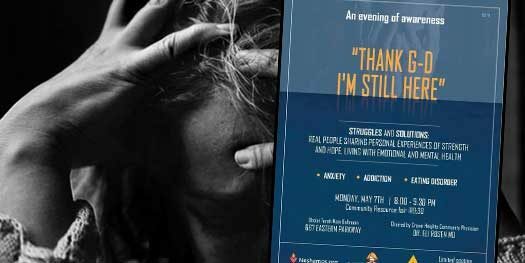 A newly formed organization is hosting its first event focused on dealing with mental health and addiction. The organization – Neshamos.org – dedicated to creating a healthy inner life for our youth by providing the platform, resources, and education needed to empower us all to support our youth more effectively. Neshamos.org is a Crown Heights based organization dedicated to creating a healthy inner life for our youth by providing the platform, resources, and education needed to empower us all to support our youth more effectively, transforming caring feelings into impactful actions, with inspired results. Newly formed, the Neshamos.org team boasts over 100 years of combined experience in community wellness leadership. Always looking forward, Neshamos.org aims to create environments within our community that facilitate open communication and discussions for anyone going through a challenge and provide support and assistance to those dealing with stigma. Monday, May 7th, Neshamos.org will be hosting its inaugural event. A group of survivors willshare personal journeys through struggle and darknessand the light at the end of the tunnel. Speakers will openly discuss their​ ​personal experiences of hardship and ultimate triumph. 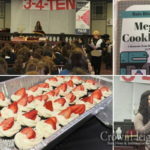 Topics include anxiety, addiction, depression and eating disorder. Meet Deena. At a young age, Deena was abused, resulting in her having an eating disorder as a coping mechanism. She was then introduced to Crimes Victims Treatment Center (CVTC) where her long journey to recovery began. Come meet Deena and others as they share their story from struggle to victory. A genuine and heartfelt program, it will inform and open a community-wide dialogue on the importance of mental health. An array of health professionals and community leaders will be available after the presentation for personal questions. 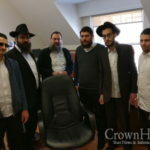 The Neshamos.org organization is led by Dr. Rosen, Moishe and Sara Feiglin of Aliya, Rabbi Meir and Chaviva New of Aliya Girls Loft and Moishe Chanin – Recovery Coach. In this unprecedented evening, Neshamos.org partners with medical and mental wellness professionals as well as community leaders for an impactful and informative night on Mental Health Awareness. 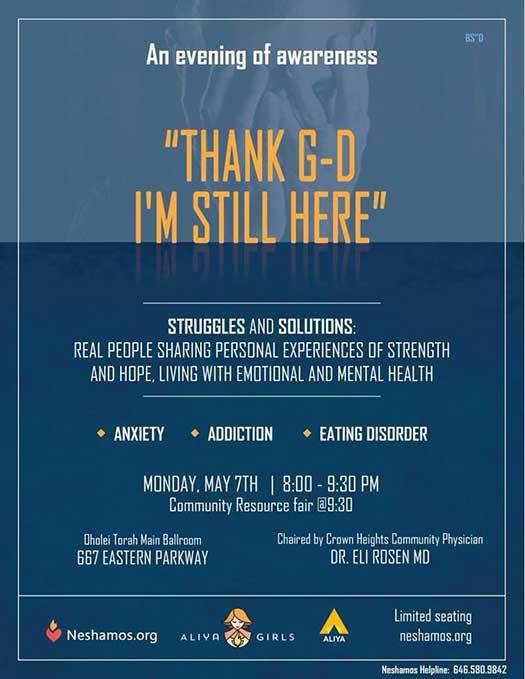 The event will take place on Monday, May 7th from 8:00 – 9:30pm, at the Oholei Torah Main Ballroom, 667 Eastern Parkway Brooklyn, New York. will there be a video of the evening, or will there be a “chazara” of it ? it is encouraging to know that this is being discussed publicly. I have heard so many people wanting to have something like this. grateful for this one, and hoping for alot more to develop. thankyou to those who are working on it, it is invaluable.